As I continue my progression around World Showcase, today we are going to take a look at the Japan Pavilion, in my opinion one of the finest of the pavilions in terms of architecture. You may remember that our last stop was at The American Adventure. As a pavilion, there isn’t a whole lot to do in Japan — so you will not likely spend much time in Japan. However, there are some things that you should do. The first is photograph the buildings. 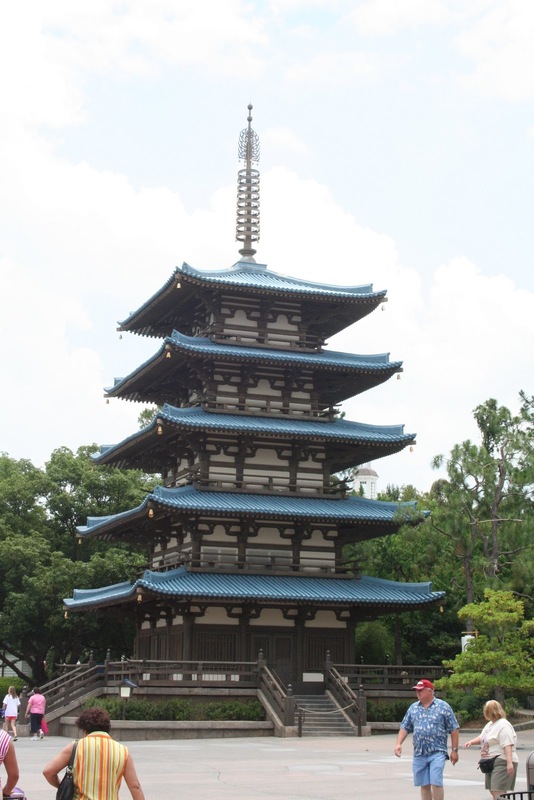 The Japanese theming is obvious throughout, and the buildings are really neat to photograph. Another thing to do in Japan is to take a look at the exhibit “Visions of Beauty: World Heritage Sites of Japan”. This exhibit exams some of the incredible images by Kazuyoshi Miyoshi. For dining, there is Teppan Edo and Tokyo Dining. I have heard mixed reviews about these restaurants. We ate at the Yakitori House quick service restaurant one year, and we enjoyed that. Now, though, the Japan Pavilion page on the Disney site calls the restaurant “Tokyo Dining”, so I don’t know if they have had a name change on the restaurant or what. Overall, there are some interesting things to see in Japan, but you won’t spend a whole lot of time here. Here are some of my pictures for you to look at. I hope you enjoy! Our next stop on our journey around the World Showcase is Morocco, where we will see one of my favorite Disney World pictures ever! Look for that in the coming days! Have a great time in Japan. We did the pearl thing in the gift shop. It gets mobbed and takes about an hour to get your name called to pick the oyster. It's fun for kids but can add up quick. Also there is a very good Kim possible adventure in Japan and that gets to to explore the entire pavilion. Next Post: Walt Disney World Magic Kingdom: The one ride I MUST ride.